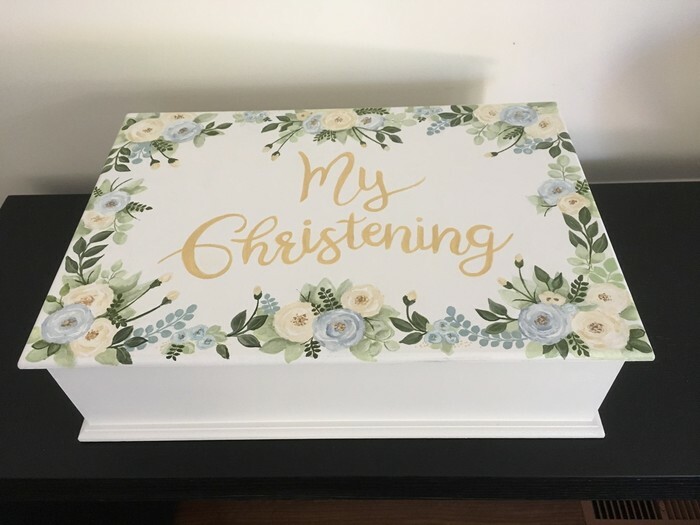 Large Christening Box measuring 48cm x 33cm x 14cm . Box painted off white . Lid painted with a detailed floral border in shades of green, lemon and blues - replace the blue shades with pinks for a more feminine look! 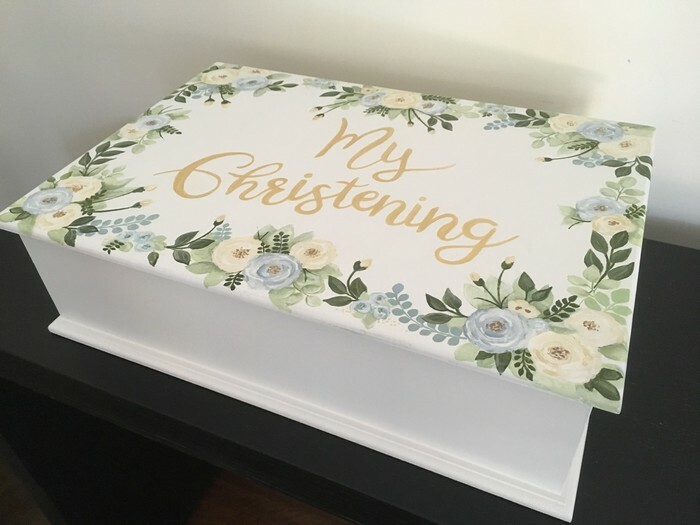 "My Christening" painted in metallic gold in centre of lid ( Colour of font can be changed on request) . 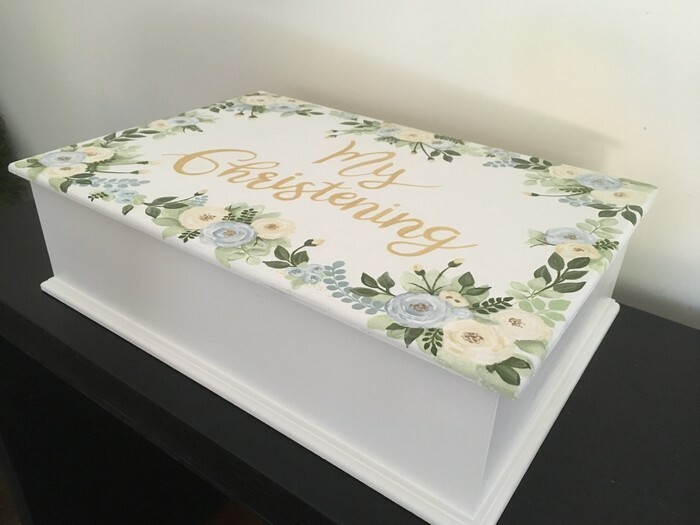 Included in price is the option of a name on the front of box base. The inside of the box is painted off white. The base of the box is covered in black felt to avoid any scratches. 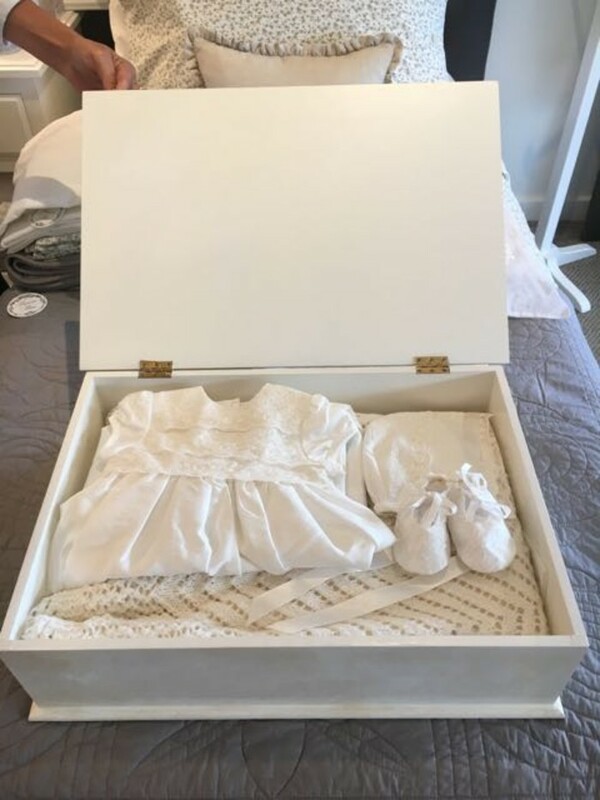 This box will hold two standard sized towels with room for other special items . This box is only available to Australian purchasers .